First day of summer holidays! 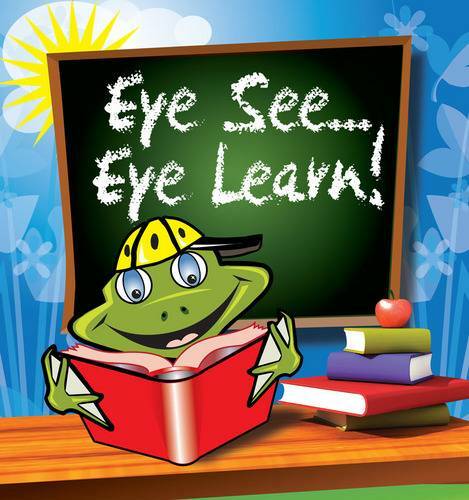 Are your kids eyes protected? 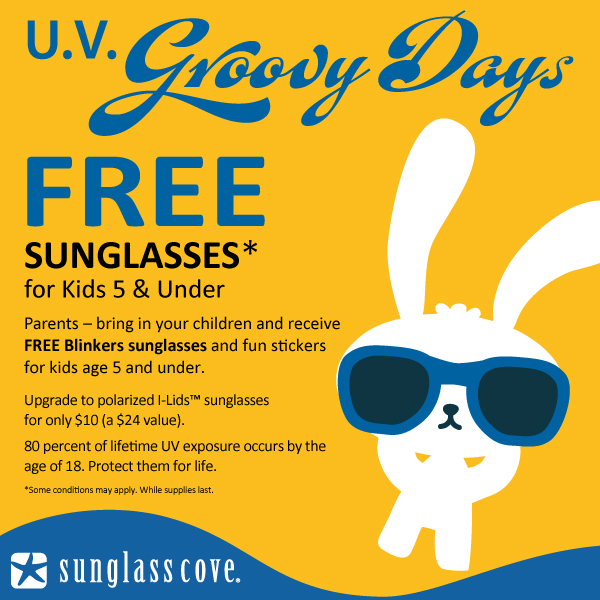 Pop into our Sunglass Cove on Thursday, June 25, 2015 from 8:00 AM until 8:00 PM for a FREE pair of Blinkers sunglasses for kids age 5 and under! 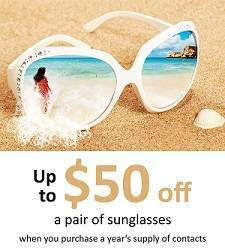 Or upgrade to I- Lids for only $10 (a $25 value). While supplies last!